Ronin8, which uses sonic technology to process low-grade circuit boards into a higher-value, smelter-ready material, is looking to scale up operations. 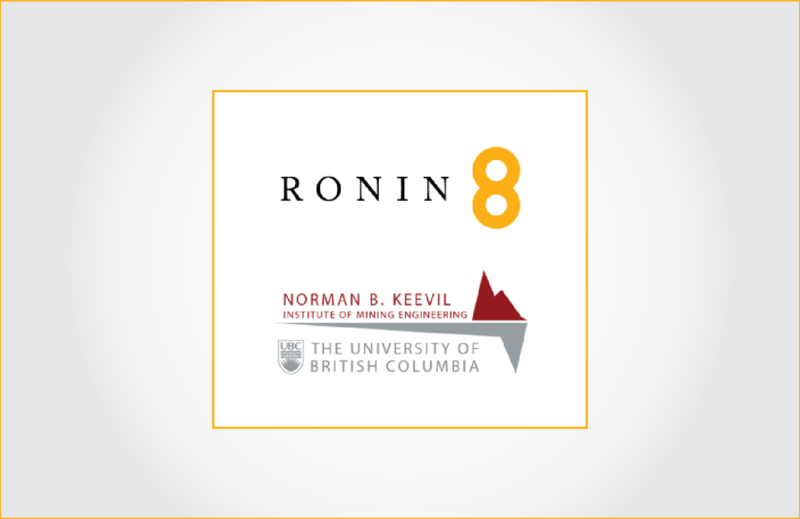 Ronin8 is phasing out pilot operations at its plant in Richmond, British Columbia. For a commercial-scale facility, it is looking at the east coasts of Canada and the U.S. In the meantime, Ronin8 is working with university researchers to explore uses for the non-metals fraction it generates from printed circuit boards (PCBs). Travis Janke, Ronin8’s director of engineering, recently provided E-Scrap News with an update on the company and its technology development. Ronin8 uses a sonic liberation method to generate metals and non-metals fractions from ground PCBs. Material is fed into water-filled chambers, and low-frequency, high-amplitude sound waves are used to vibrate the equipment at its natural resonance frequency. The vibrations liberate the metals from the non-metals, and the fractions are separated, de-watered and dried. The process yields a concentrate of different base, precious and rare earth metals and an organic fraction of fiberglass, plastics, resins and other materials. Ronin8 has published a white paper with more details. A company representative also spoke about the technology during a session during last year’s E-Scrap Conference in Orlando, Fla. The technology improves the value of PCBs sent to smelters by an estimated 35-40 cents per pound, Janke said, with logistics cost variabilities accounting for the 5-cent range. “We’re able to provide the greatest value enhancement with the low-grade material from recyclers,” he said. “We can help them improve their inventory, their resource, and generate better returns,” he added. Smelters typically pay e-scrap processors for gold, silver, copper and palladium. But they’ll penalize processors if the circuit boards are too low of a grade, because instead of enhancing their feedstock, the material becomes a detriment, Janke said. Intermediate wet milled material being fed into the sonic separation system at Ronin8’s pilot plant. Ronin8’s approach essentially boosts the grade of input for smelters, improving the amount of refined metals they generate per ton of input, he said. He noted his company is speaking with a major smelter. 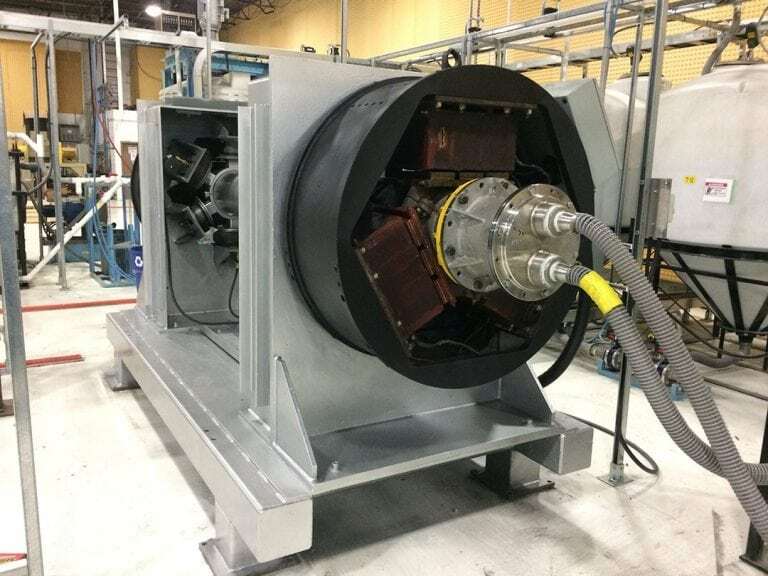 Smelters derive value from the organic fraction of PCBs, because the organics burn and generate heat, reducing the need for fuel, typically coal. At the same time, Canadian government restrictions on greenhouse gas emissions can limit what a smelter uses for feedstock. For example, the restrictions might cap the percentage of feedstock that’s composed of PCBs on an annual basis. Janke said the feedstock can be designed to help a smelter achieve greenhouse gas emission limits and still enjoy the energy benefits. Over the past year, Ronin8 has refined its technology to be able to adjust the amount of organics in the metals concentrate. The process can produce a concentrate from 2 percent to 20 percent organic content, Janke said. Ronin8 is currently in preliminary discussions with generators of PCBs in the eastern U.S. and Canada. The company is looking there because of logistics and regulatory benefits, Janke said. The company is exploring boosting the value of PCBs as a service, instead of buying PCBs and selling its output. It would take a processing fee out of the 35-40-cent price improvement its process yields, he said. Ronin8 is designing a commercial plant that would have two sonic units and a total nominal throughput of 10,000 metric tons per year. The company is planning to have it built in the second quarter of 2019. In addition, the company has been working with researchers at the University of British Columbia (UBC) on studying and finding possible uses for the non-metal fraction. The company has been working with Ph.D. candidate Amit Kumar and professor Maria Holuszko at UBC’s Urban Mining Innovation Centre (UMIC). 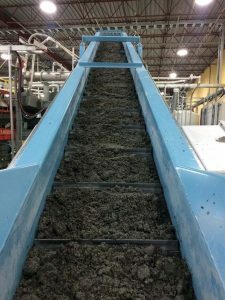 The researchers have studied ways to process the material into an environmentally benign product for use as an energy source or filler in concrete or ceramic products, he said. They and Ronin8 developed a non-thermal process that extracts flame retardants from the PCB matrix, allowing the fiberglass to be reused.